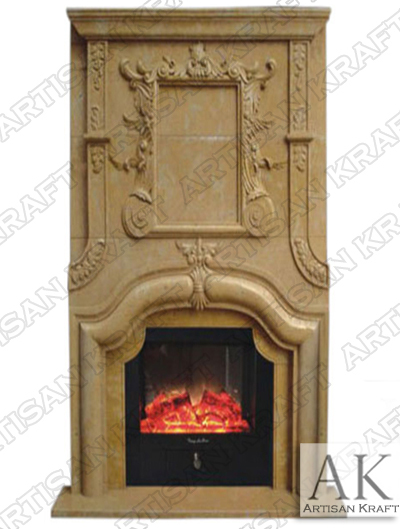 Italian design fireplace gives the Seville Marble Overmantel sparse carved design throughout the large mantel. Leaves and a picture frame give detail to the otherwise flat over mantel. The marble is a yellowish brown color. Our over-mantels can be made to different sizes.